Unlike the traditional roulette tables you can find at your local casino, playing online roulette is simpler, faster, and cheaper, especially since you don’t have to dress sharp to play it. But for most people, it can also get a bit confusing or frightening to transition to online gambling or to even have their first spin on a roulette wheel outside of a land-based casino. However, it doesn’t have to be this way. If you’re new to online roulette, or even to the game itself, here’s a complete guide on the roulette offer you can expect from most online casinos and how to play the game right. The first roulette wheels were built in France around the 18th century, where the name roulette (“little wheel” in French) also comes from. These were mechanical tables with a single layout that later evolved into the several variations you can find today. Today’s online roulette is the same as its ancestors, the only difference being that it uses a Random Number Generator (RNG) instead of mechanics. The RNG is a program that produces long strings of random numbers which are then translated into the random outcomes of an online roulette game. In short, this program allows the game to produce thousands of random outcomes and thus give you a fair chance of winning some money online. The only “rules” you might have to follow in online roulette is how much you can wager on. But other than that, traditional playing etiquette doesn’t apply to online playing, so there isn’t anything to keep in mind other than the bets themselves. Playing roulette is very simple. All you have to do is decide how much you want to wager on a single spin, put down your chips on any bet you want, hit the spin button, and win back a payout if the bet wins. The bets you have available are of two types: inside and outside bets (also called prop bets), both of which come with different payouts and house edge, which is explained in more details below. Thus, before you spend any money on online roulette, make sure you know your bets well. Straight bet – also called a single bet. Just pick a number and place the chip inside the number square. Split bets – bets on two adjacent numbers, placed on the border-line dividing them. Corner bets – bets on four numbers, placed at the mutual corner (e.g. 19-20-22-23). Trio bets – a corner bet on three numbers, one of which has to be a zero (e.g. 0-00-2 or 00-2-3). Street bets – bets on three numbers in a roll (e.g. 1-2-3), placed at the outer border at any end of the line. Double Street (Six Line) – bet on two adjacent lines (25-27 + 28-30), placed at the outer corner between both lines. Top Line bet – bet on 0-00-1-2-3 in double zero roulette, placed on the outer corner of 0 and 1. Prop bets are bets outside the numbers zone which come with better odds. However, they also have lower payouts, or none at all, depending on the variation. Low (1-18) bets – a bet that any number in the 1-18 range will come up. High (19-36) bets – same as low bet, but on numbers 19 to 36. Red/Black bets – a bet on whether a black or a red number will come up. Even/Odd bets – bet on whether an even or odd number will come up. Column bets – bet that any number in the first, second, or third column will come up. Dozen bets – bet that any number in the first (1-12), second (13-24), or third (25-36) dozen will come up. American Roulette – Roulette with a 00 added to the wheel to make the game more advantageous for the casino. French Roulette – single-zero roulette with a French table layout, including different names for prop bets. The game also comes often with a “La Partage” rule, which means that any losing 50:50 bet (odds/even, red/black) will see half of your wager returned to you. European Roulette – single-zero roulette without “La Partage” and slightly different layout than the French version. Mini Roulette – a mini version of the game with 13 numbers which can come with or without the “La Partage” rule. Roulette Pro – low to high limit roulette with a whole range of new bets like hot/cold number bets, or other types of line bets. Live Roulette – different roulette variations hosted by a live dealer and streamed in real-time from a studio or casino. Double Ball Roulette – a variation played with two balls and two separate bets. Where are the Biggest Payouts? The 1:1 payouts work differently in a game of French Roulette, or any “La Partage” game. The standard rule implies that should the ball land on a zero when you make an outside bet (red/black, even/odd, etc), you’ll get half your wager back. Some French Roulette games may also come with the “En Prison” rule, although such versions are mostly found in land-based casinos. The “En Prison” rule is similar to “La Partage” only it involves “locking in” your half-wager, instead of receiving it immediately. Per this rule, when you make a high/low, even/odd, or red/black bet and you lose it, half of your wager will be reserved for the same bet on the next spin. So, if during the next spin you win the bet, you will receive your original wager, per the 1:1 payout. If not, you’ll lose the money. Which Bets are the Best? Before you start asking yourself what are the best Roulette bets you can make, the first thing to do is to ask yourself what is the best game you can play. The least advantageous game is the American version, where the addition of a second zero (00) increases the casino’s house edge two-fold. Next to it is European Roulette, where the house edge is twice lower. But the best variation is still the French version, where the even/odd, black/red bets give back half your wager, thus lowering the house edge even more. Once you know these main distinctions, you can start deciding what bets to stick with when you start playing. There is no right or wrong answer, but the best approach is to look for good payouts with the lowest house edge possible. After all, this is a game of luck, where your skills have no effect on the outcome. Straight/ Corner/ Trio/ Split/ Street/ Double Street bets – 2.70% house edge on European and French variations (5.26% on American Roulette). Dozen / Column bets – 2.70% house edge on French and European Roulette (5.26% on American Roulette). Red/Black, Even/Odd, High/Low bets – 2.7% on European Roulette, 5.26% on American Roulette. Red/Black, Even/Odd, High/Low bets in French Roulette – 1.35% house edge. Is Online Roulette Really Random? As long as you play in licensed and audited casinos, yes.  If a casino holds a license from the UKGC, for example, this means that their software has undergone inspections by the regulatory body to ensure fair practices are respected. The inspection normally involves testing the RNG for fairness as well. Some casinos even add another layer of trust by having their RNG tested by a third-party auditing agency like TST, iTech Labs or eCOGRA. These agencies perform the audit themselves and issue a certificate which you can freely check online.